New Quilt Blogger Blog Hop! Welcome! 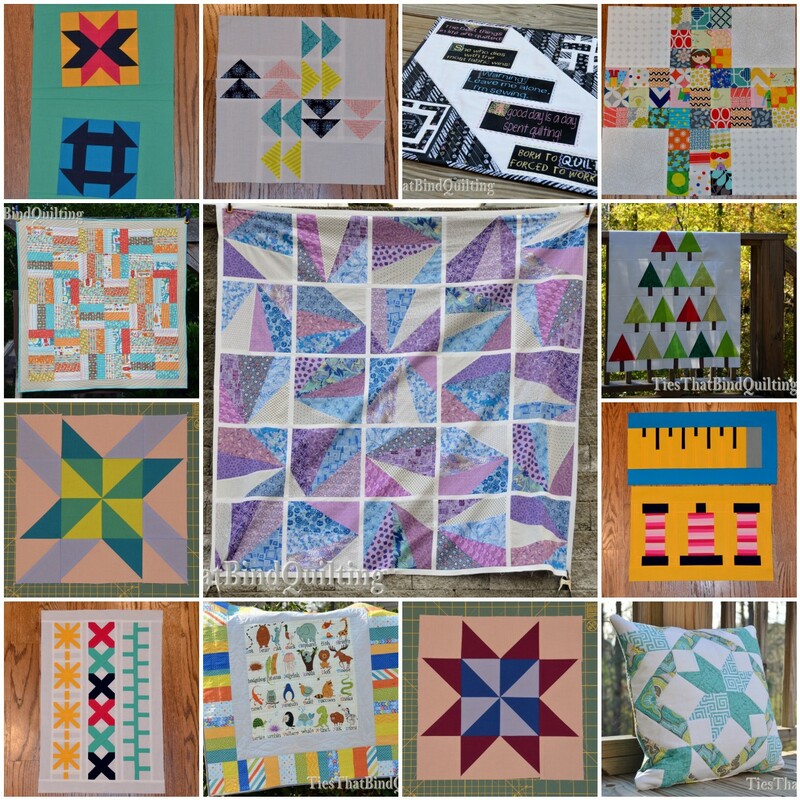 Today is the first day of the 2014 New Quilt Blogger blog hop. My name is Kim and I’ve been quilting and blogging for about 9 months. I’m quite excited to be a part of the first group of this year’s blog hop. Beth at Plum and June puts together this annual hop to help introduce new bloggers to the quilting world and to each other. This year’s group have already been having some great discussion before the hop has even started! I started quilting last fall when I decided to make a baby quilt for my cousin’s new baby. My mom had gotten me a sewing machine and taught me to use it by making some curtains for my new house, but then it was just sitting around without a use. I thought making a baby quilt would be a fun way to dust it off. Little did I know that I was about to be completely bitten by the quilting bug and wind up completely hooked! The baby quilt that started the addiction! Since that first quilt, I’ve completely hit the ground running. I’ve now finished 5 quilts, 3 more quilt tops, and a pillow. I’m also participating in the Stash Bee and making two block of the month quilts: the Skill Builder “For the Love of Sewing” BOM and the Delightful Stars quilt along. I can’t wait to finish the “For the Love of Sewing” quilt because it will be the first quilt I’m keeping for myself! I love modern quilts and enjoy working with both prints and solids. I also like to bounce back and forth between multiple projects at once – keeps life interesting! When I’m not quilting, I love to play tennis! My husband and I both play year round and are frequently on more than one team/league each season. I’m also a SCUBA diver and wish I could be under water more often. Oh – and for my day job, I work in an academic research lab studying multiple sclerosis. While I now live in Georgia, I grew up in Indiana and spent multiple years participating in an annual polar bear swim on New Years Day. There were years that they broke ice off the river so that we could all go swimming! I love to travel and have two dream vacations: a cruise to Antarctica and an African safari coupled with a summit of Mt. Kilimanjaro! I know I haven’t been blogging for very long but one of the most important things I’ve learned is to use large photos and to watermark them. Large, clear photos really draw readers into your blog. I know bloggers with great photos tend to be the ones that inspire me the most! And having a watermark (at least on your finished tops/quilts/projects) helps ensure that someone will be able to find your blog if someone improperly shares your images. As quilters, I know we all strive to make sure our points and seams match up. The best quilting technique I have learned is glue basting! I find that I’m able to line up seams and points so much better with glue basting than I am with pinning and it really doesn’t take any more work or time. If you’ve never tried it before, I really encourage you to do so! I think you’ll fall in love! Alyssa over at Pile O’ Fabric has a great glue basting tutorial video. I just finished quilting this quilt top and am hoping to have the binding done by the end of the week. At 80″ by 88″, it is by far the biggest quilt I’ve completed to date. I hope you’ll stop back by and check out the finished quilt soon! Be sure to check out the other new bloggers. There are some really talented quilters in this year’s group! This entry was posted in Blog Hops and tagged blog hop, New Blogger Blog Hop by Kim M. Bookmark the permalink. Love your quilts! I’ve found your blog through Beth’s blog hop. Yes, I am three weeks behind in blog reading!